Not your regular Rapper… When you think of Vermont you might think of cheddar cheese, maple syrup, cold weather and snow. Or perhaps, the Mountains covered in foliage and ski vacations. The last thing one might relate with Vermont is Hip-hop music. Enter Jibba The Gent. Born and raised in Southern Vermont, Jibba brings a new flavor of Hip-hop center stage. Based on creativity, versatility and home-grown attitude (pun intended) Jibba’s style is set to throw a wrench in the normalcy of the hip-hop industry. Jibba moved around a lot in his early childhood. He was born in Rutland VT and before the age of Ten had lived in Brattleboro, Putney, Hinsdale NH, Tinmouth VT and eventually settled into Springfield. Perhaps this is why Jibba is constantly on the go. Whether it’s traveling coast to coast for shows or promoting his own brand in Southern Vermont, something is always brewing. There is a constant creation of ideas, content, reaching out and collaborating with fellow local artists and community driven work. The desire to help others succeed comes from the experience of figuring out the music business by his own trial and error. Growing up in rural Vermont, studios were few and far between and people in the business were next to impossible to find. It truly felt to Jibba that he had to find his own path out of the woods. Armed with some of hip-hops finest album’s Jibba’s love of the culture and music would eventually grow into a budding career. In 2010 he was diagnosed with Ulcerative Colitis, a life long auto-immune disease. At times this illness has slowed him down, but it never has stopped Jibba. Fast forward to today. 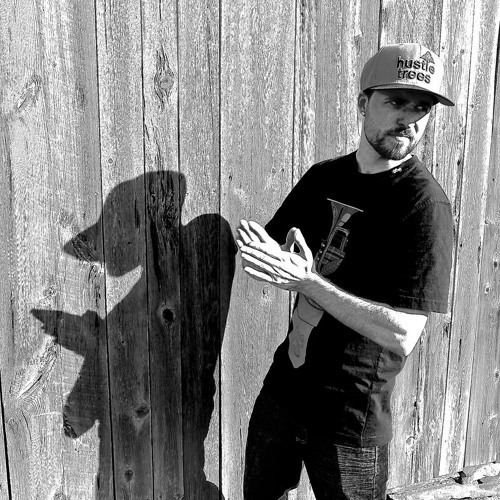 Jibba has been a part of many Vermont based hip-hop collectives. BABDR, From The Ground Up ENT, Causin’ Effect and So.802 Studio’s. He has owned two studio’s open to the public, and has promoted shows with major headliners. In addition he has seen his music spread Nationwide on TheCoolTV music channel on Comcast and had 8 weeks of Top 40 radio play. Two of those weeks having the number one song locally on the Top 8 at 8 segment on Z97.1 as one half of Causin’ Effect. Now, it’s time to head out on the solo path. With the release of his first full length solo album “The Broccoli Tree“, Jibba has been hard at work promoting and growing his fan base. This is your invitation hang with a “Goodfella” Jibba the Gent!